In the waters of baptism, we are lovingly adopted by God into God’s family, which we call the Church, and given God’s own life to share and are reminded that nothing can separate us from God’s love in Christ. When you choose to be baptized yourself or to have your child baptized in the Episcopal Church, it means you are choosing to live out the Baptismal Covenant in the context of an Episcopal church community, taking your part in the worship, mission and ministries of the local parish. 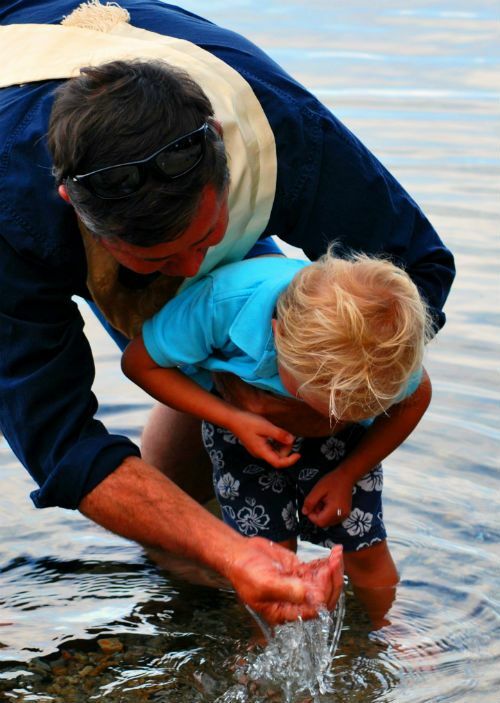 Baptism is open to all people, regardless of age or background. If you feel called to be baptized, or to have your child baptized, the first step is to complete and submit the baptism application. Final arrangements for a baptism will be made through the parish office. Sufficient time should be given since the church requires some instruction for parents and godparents prior to baptism. Parents should keep in mind that godparents represent the Church and should take great care in selecting them. Godparents should be practicing, baptized Christians. In keeping with the tradition of the Church, the sacrament of Baptism should take place in the context of one of the regular Eucharist services on Sunday mornings. It is a wonderful and moving experience when the whole worshipping community renews its own baptismal vows and joins in the prayers of welcome for its newest member. Please fill out and submit the online baptism application below. If you have further questions, please contact Liz Collins at [email protected].